Headquartered in Australia, earth to ocean consults to governments and non-government organisations requiring innovative and practical solutions to their marine and coastal management problems. Dr. Fernandes is our principal and lead consultant. She holds Masters Degrees in both Tropical Ecology and in Economics. Her Ph.D. in Geography incorporated natural and social sciences into an integrated decision-support system for coral reef management. 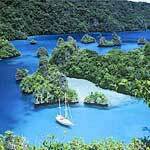 Over the last decade she has applied her knowledge to address marine resource management problems in the islands of Hawaii, the Maldives and the Caribbean and in the North Sea and coastal Australia. Notably, Dr. Fernandes was Manager of the Representative Areas Program, involving collaborations with over 70 communities, and the same number of Traditional Owner groups, over 10 government agencies, and more than 20 different stakeholder groups. 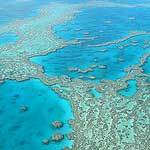 This program led to establishment of over one third of the Great Barrier Reef Marine Park as no-take protected areas. Professor Greiner is company director of River Consulting Pty Ltd. Romy has over 20 years experience in socio-economic research in the environmental management field. She has extensive experience and knowledge of the tropics, and northern Australia in particular, across various natural resource based industries. She has conducted: strategic assessments of economic development, natural resource management and policy issues at the regional scale; benefit-cost analysis; bio-economic modelling (tourism, biodiversity, coastal and marine resource uses); social and economic benchmarking at the regional scale; social investigations of resource users (recreational fishers, tourists); policy analysis and design for ecologically sustainable use of natural resources (tourist management, marine resource uses); scenario development and modelling and participatory research with regional communities, industries and indigenous groups. Susie Tomson, ("nee Westmacott") Ph. D.
Susie Tomson runs the U.K. sister company, Earth to Ocean U.K.. She has an MSc in Water and Environmental Management, a PhD in Integrated Coastal Management and is an Associate of the Institute of Environmental Management and Assessment (AIEMA). She has worked as a coastal zone management consultant, marine park manager, harbour board member and environmental advisor. These are a selection of awards received to personnel or projects that staff worked on prior to the establishment of earth to ocean . World Future Council 2010 Silver Future Policy Award (announced 25/10/10 at the 10th Council of the Parties (COP10) to the Convention on Biological Diversity in Nagoya, Japan) (Brochure). This award is for integrating nature and livelihoods in management, for example, in the 2004 Zoning Plan. 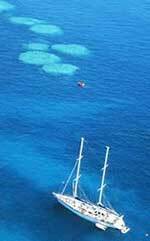 High levels of public participation helped to ensure that local people and stakeholders were involved and generally supportive..
July 2005 Sultan Qaboos Prize for Environmental Preservation for UNESCO's Man and the Biosphere Programme, to the Great Barrier Reef Marine Park Authority. This prize acknowledges that GBRMPA created an innovative framework that, whilst allowing for reasonable human use, will still ensure the healthy survival of the coastal and marine ecosystems of the Great Barrier Reef. WWF, in October 2005, presented the Australian government with a Gift to the Earth — the global conservation organization's highest accolade — for the design and implementation of the Great Barrier Reef Marine Park zoning plan. IUCN (the World Conservation Union) members at the World Conservation Congress in Bangkok 17-25 Nov. 2004, in resolution 40, congratulated the Australian government on its recent achievement of significantly increasing protection for the Great Barrier Reef Marine Park and World Heritage Area and commends it for its global leadership in the protection of this outstanding site of universal value. Planning Institute of Australia Award for Excellence. Category: Community-Based Planning. 2005. Awarded to the Great Barrier Reef Marine Park Authority for the Representative Areas Program. Planning Institute of Australia. Award for Excellence. Category: Overall Winner for Excellence in Planning. 2005. Awarded to the Great Barrier Reef Marine Park Authority for the Representative Areas Program. Banksia Foundation Environmental Award 2004. Category: Government leading by example for a sustainable future. Awarded to the Great Barrier Reef Marine Park Authority for the Representative Areas Program. 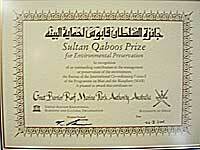 Australian Museum Eureka Prize: The Botanic Gardens Trust Eureka Prize for Biodiversity Research 2004. Awarded to the Great Barrier Reef Marine Park Authority for the Representative Areas Program. Australian Government Agencies. Queensland Regional Heads Forum. Excellence Award. 2004. Awarded to the Great Barrier Reef Marine Park Authority for the Representative Areas Program. Planning Institute of Australia (Queensland Division) Award for Excellence. Category: Overall Winner for Excellence in Planning. 2004. Awarded to the Great Barrier Reef Marine Park Authority for the Representative Areas Program. Planning Institute of Australia (Queensland Division) Award for Excellence. Category: Social and Community-Based Planning. 2004. Awarded to the Great Barrier Reef Marine Park Authority for the Representative Areas Program. Planning Institute of Australia (Queensland Division) Award for Excellence. Category: Environmental Planning or Conservation. 2004. 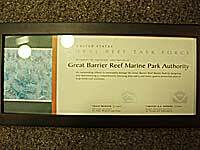 Awarded to the Great Barrier Reef Marine Park Authority for the Representative Areas Program. 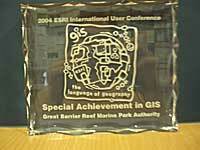 ESRI International Geographic Information Systems User Award 2004.